ICON7 is an attractive, contemporary style apartment building built in contrasting dark brown brick complemented by cantilevered balconies with glass balustrades. Arranged over five storeys, the three two-bedroom penthouse apartments have generous terraces offering views over the surrounding area. 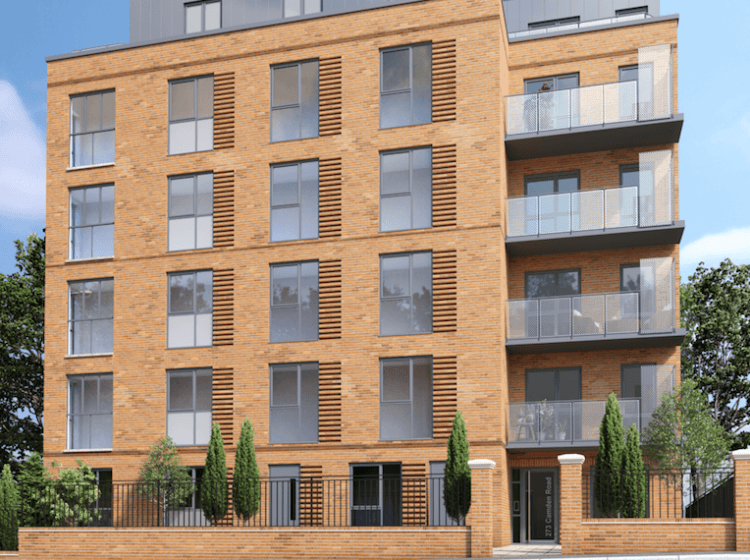 The immediate surrounding area is pleasantly residential, comprising a network of leafy, tree-lined Victorian streets; ICON7 occupies an elevated position set back from Camden Road with a handy Sainsbury’s local store on the ground floor. ICON7 benefits from being within easy walking distance or a short cab or bus ride from so much of what north London has to offer. This isn’t to say that the rest of the capital is out of reach, though. London’s underground network is easily accessible from Caledonian Road underground station on the Piccadilly Line, a pleasant Google maps-certified 11 minutes’ walk from the development. From here London’s underground hub, Kings Cross, is just one stop or three minutes away. Holborn, in the heart of midtown, is just seven minutes away, Covent Garden nine minutes and Piccadilly Circus 11 minutes. Camden Road is also well served by a number of bus routes into central London and around the local area.